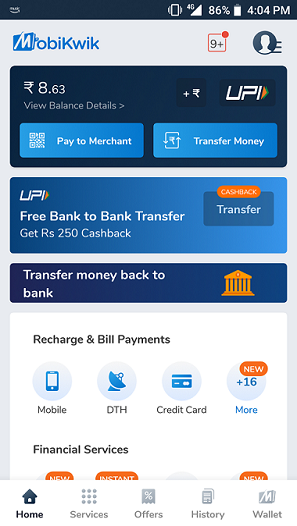 UPI (Unified Payments Interface) Apps have made the money transfer process very simple these days. Launched back in 2017 and became much popular after the demonetization, they have shown tremendous growth and have revolutionized the way of making payments. Unlike Mobile Wallets that holds money, UPI is a mechanism that allows instant money transfer between two accounts. 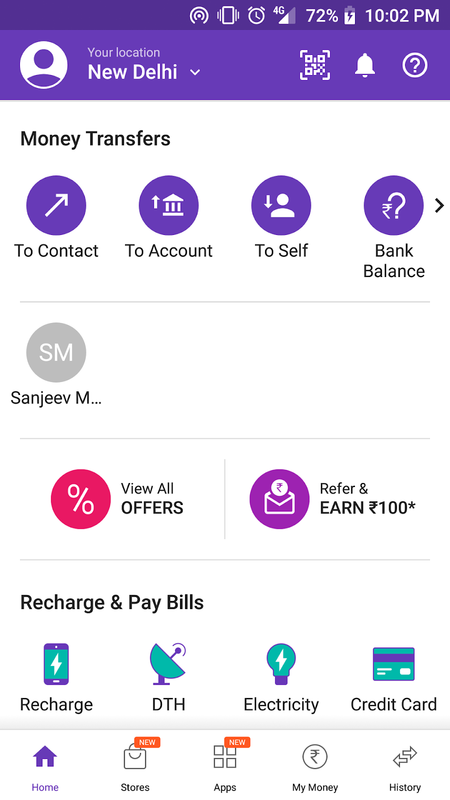 Also, you can check your balance using UPI apps easily anytime. For using UPI apps make sure that your mobile number is linked to your bank account. It is the first UPI app that was launched back in December 2016, Bhim App is developed by National Payments Corporation of India. It is compatible for Android 4.2 and above and IOS 8.1 and above. User interface is simple with white background. 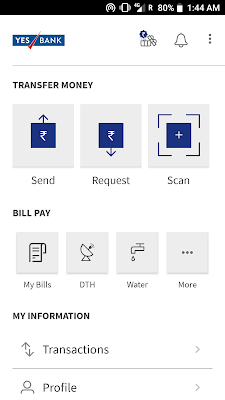 This app also offers service like Bill Payment, DTH, Utility bills etc. This app aims at promoting Cashless and e-payments transfer and it is really successful. My Personal Favorite app, developed by Google. Earlier it was known as Tez and on completion of one year it was renamed as Google Pay. 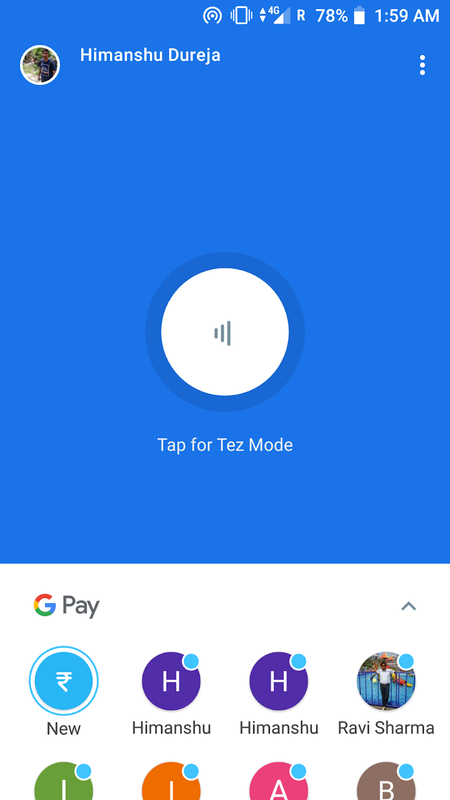 Interface is really nice with Tez mode for sending or receiving money and the best part is reward earned with the transactions done using this app. After every transaction, you will get a scratch card that will we reward going straight to your bank account. Also, you can pay your utility bill, recharges, payments to merchants using Google Pay. They also have referral program by which you and your friend can earn Rs 51 by signing up using referral code and doing first successful transaction. PhonePe is growing at a great pace and founded back in 2015 and later accquired by Flipkart. 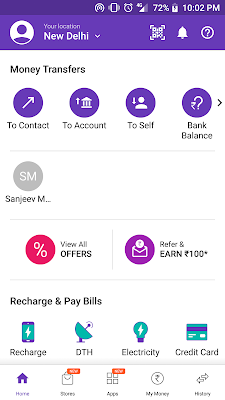 Phonepe is another great UPI alternative that can be used for e-payments, money transfer , Utility bills, prepaid and postpaid bill payments. You can earn Rs 100 cashback on signing up and after first money transfer. Paytm is very much popular among Indians, Wallet and e-commerce website launched their UPI in November 2017. Operates like all other UPI apps, UPI id looks like mobile-number@paytm. You can send upto 1 Lakh using Paytm UPI. 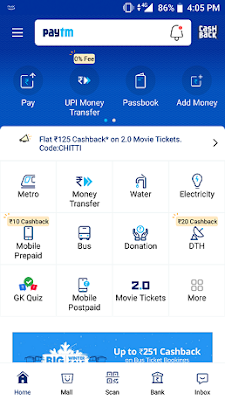 Mobikwik also offers UPI and was rolled out in May 2018, Mobikwik Users can use their default phone numbers as VPA that is like <mobile-number>@ikwik. 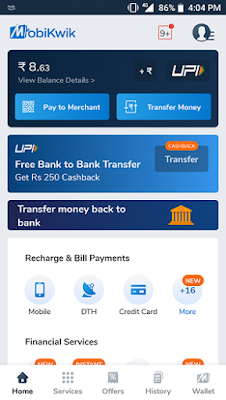 Works like all other UPI apps, Freecharge started BHIM UPI S service in 2018.